Bless the soul of the person who manages Bourjois, Maxfactor, Rimmel and Sally Hansen in Kolkata. I actually met that person yesterday who introduced the Rimmel and Maxfactor. 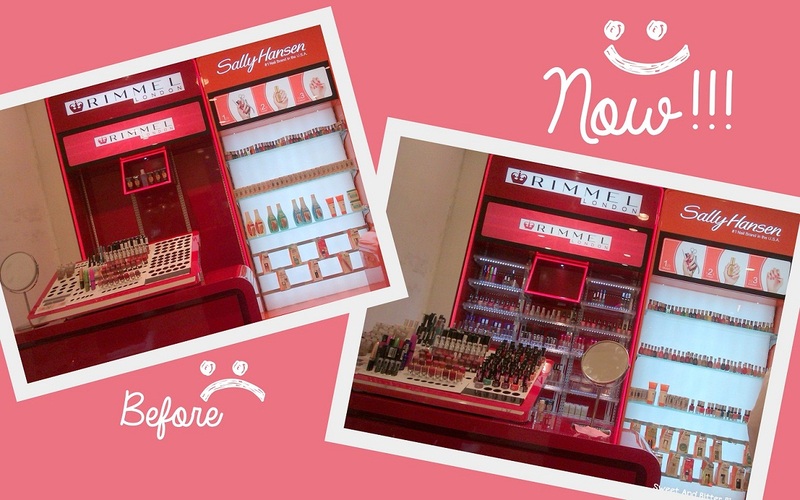 And to add the good news - Rimmel and Sally Hansen counters are now loaded with great products. I know what you are going to ask and the answer is - No. No, the Kate Moss collection is not there. Its sold out now. But, look at the increase in products. I posted the picture on left side here. That spiral design (?) cuticle cream was tempting by like anything. But, I could stop myself from getting it. 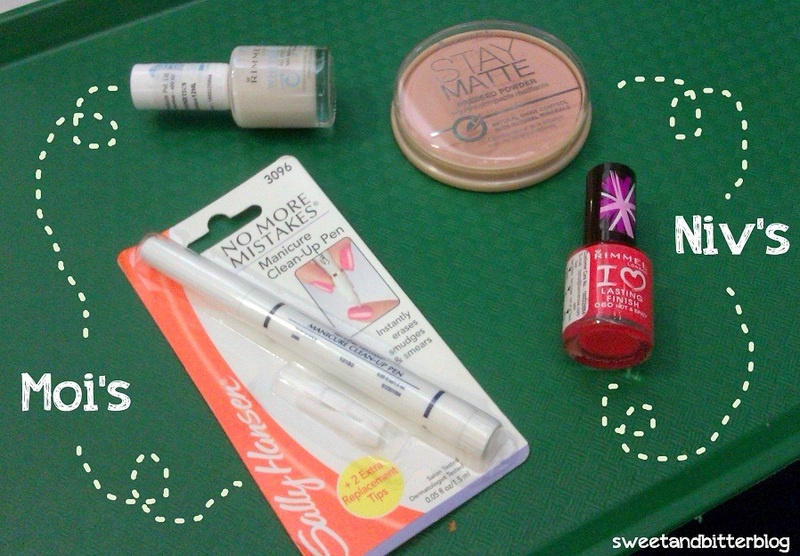 Nivedita and I got these - some very basic essentials - so, we are still good to go on no-makeup-shopping. These were camera pictures shot at lowlight. Wait for Nivedita to swatch that nice coral color which is looking like a bright rose red here. And both complained like crazies to that person and requested him to bring Bourjois and Maxfactor counter to South City with loads of latest products .....(we added please! )...so, lets keep fingers crossed.